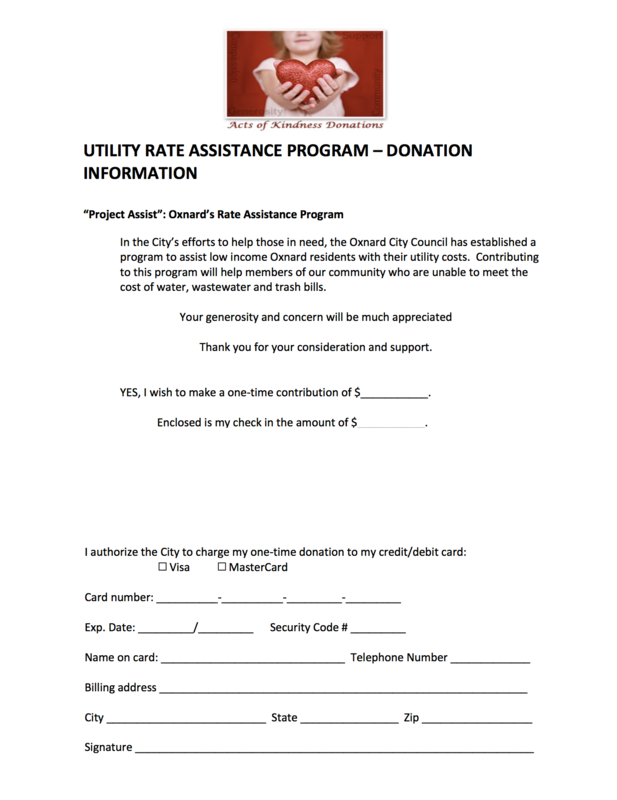 In the City’s efforts to help those in need, the Oxnard City Council has established a program to assist low income Oxnard residents with their utility costs. 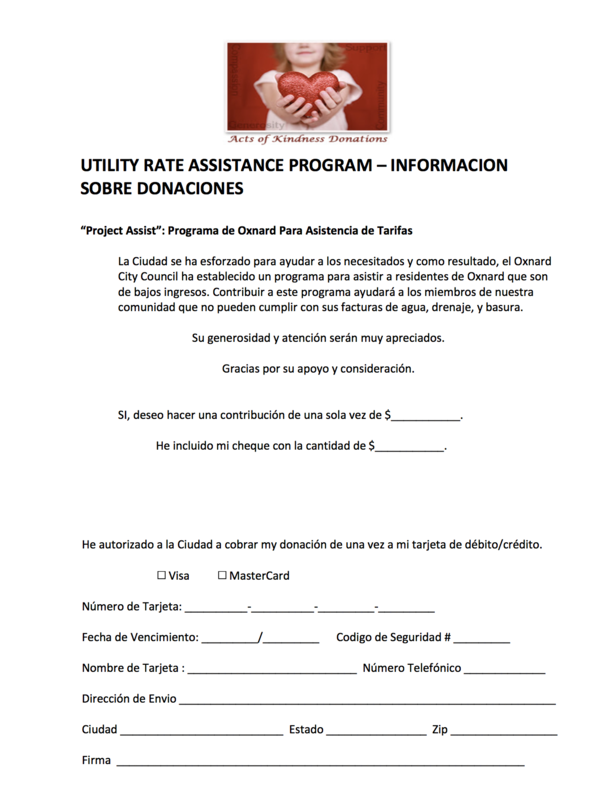 Contributing to this program will help members of our community who are unable to meet the cost of water, wastewater and trash bills. Your generosity and concern will be much appreciated.